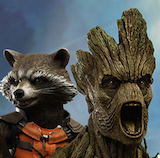 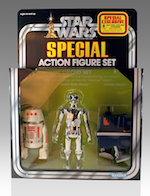 Sideshow Collectibles has created another amazing Star Wars 12" figure that any Star Wars fan would want to add to their collection and you will get that chance to pre-order it tomorrow afternoon. 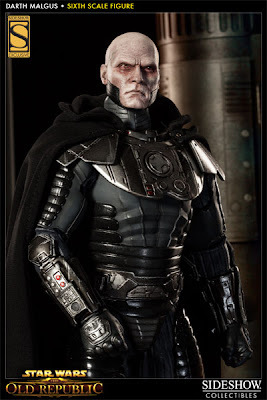 We had the opportunity to attend San Diego Comic Con last July 2012 and this is where we got our first glimpse of Darth Malgus. 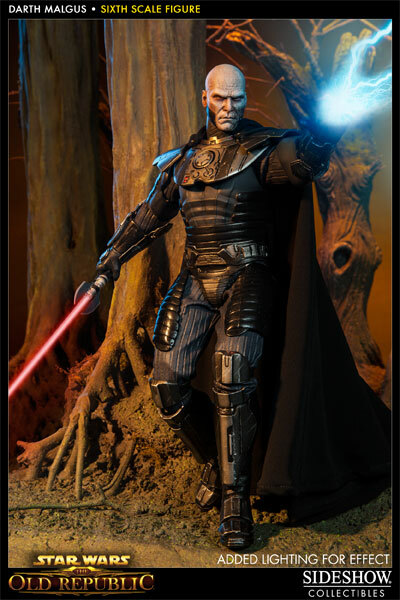 We have collected many Star Wars Sixth Scale figures and Darth Malgus will be our first Expanded Universe 12" figure. Sideshow Collectibles has great detail in their statues and 12"figures and they have continued to bring better quality and detail in their work and Darth Malgus is no exception. 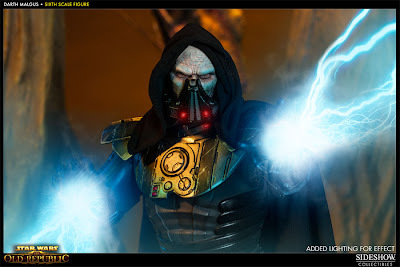 Darth Malgus is the infamous character from the incredibly popular Star Wars: The Old Republic. The fearsome Sith commander is crafted on a fully articulated Prometheus body, outfitted with detailed Sith Raider armor, and a fabric cape with poseable hood. 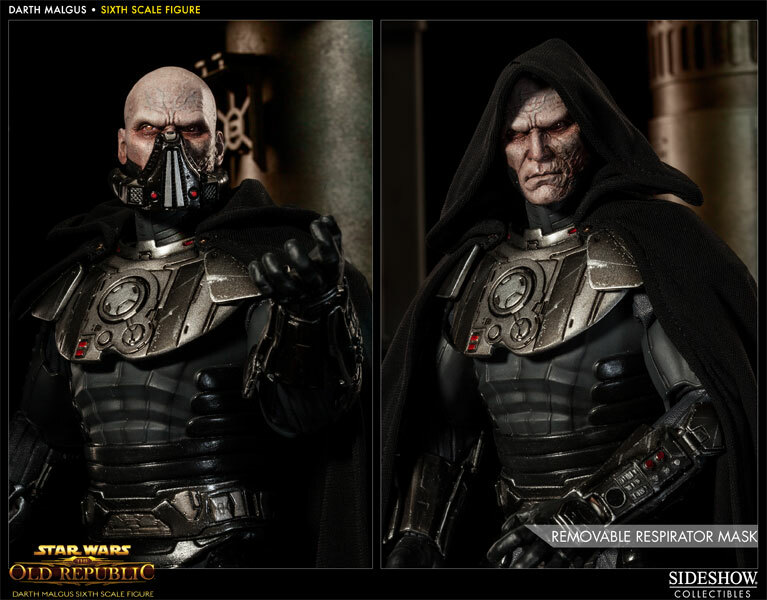 The Exclusive version of Darth Malgus will include an additional, unscarred swap out head (shown below). Both the regular and Exclusive versions of the Darth Malgus Sixth Scale Figure will be priced at $184.99. 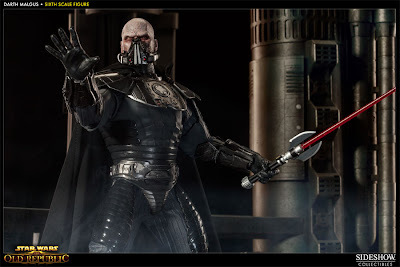 The Exclusive Darth Malgus Sixth Scale Figure will be available for Pre-Order tomorrow afternoon during the release of the Sideshow Collectibles Newsletter, which usually published between 2pm - 3pm (Pacific Time).